The vocal mix will make or break your church service or any event, truth be told. From the spoken word to that which is sung, it’s all equally important to properly mix. Today, I’m highlighting a few things I do, or have done, in both types of vocal mixing that have made a big difference in the mix. Have you ever had someone say, “I could hear the pastor, I just couldn’t understand them”? 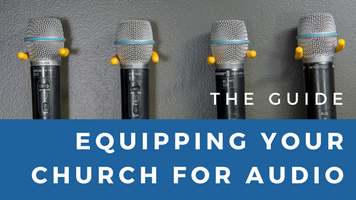 Not every pastor has a golden radio voice – and I’ve worked in radio and heard such golden voices – and that means there’s some work to be done. Let’s break it down. What? 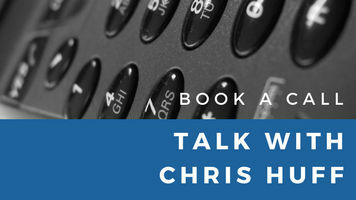 Chris, why are mentioning monitors? Fair question. The pastor’s voice should NEVER be in the monitors unless they are leading in song but for now, I’m talking about speaking. First, there’s absolutely no good reason for this. Second, to support that further, the sound of their voice in the monitors will be heard in at least the first few rows of the sanctuary and that’s going to negatively affect the audio quality – and probably confuse the people in the seats. Third, again supporting the first point, there’s the high possibility of feedback problems between their microphone and the floor monitors. I do know someone who worked as an A1-level audio engineer who did need to put a speaker’s voice into floor monitors. However, that speaker also needed to hear the music and special effects sounds that were being played as well…and he was an entertainer in Las Vegas. It was David Copperfield, in case you’re curious. Your pastor is not a Vegas entertainer. 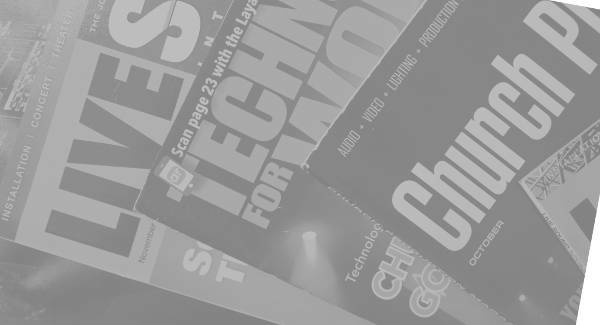 A high-pass filter (HPF) should be used for all spoken-word channels. There’s no reason for that low-end in the channel. If your board has a fixed-frequency HPF, use it. If it’s variable, set it around 140Hz. Feel free to adjust until it sounds good. Depending on the person, you might not notice much of a difference of the HPF will help a lot. If the voice sounds thin, before you add the HPF, try a 3-6dB boost in the 100-200Hz region using a sweeping EQ. You don’t want to boost everything below that point, just add enough to fatten it up a little. Now we get to EQ based on mic selection. Mics can have different frequency responses and therefore different frequencies they boost or cut. Check this out for more on frequency response. This frequency response can make a big difference in what you need to do next. Focus on the 2kHz-5kHz range, apply a narrow Q (bandwidth), boost around 3dB, and sweep through that range. This is a tricky area. You want to avoid sibilance, avoid exaggerating mouth noises, and add presence. The mic might already boost the perfect area for you, but it might not. Just listen and let your ears make the final decision about what is right. I’ve seen this argued both for an against it. 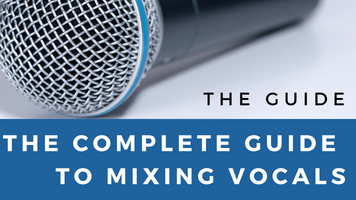 In my guide, The Complete Guide to Mixing Vocals, I dive into vocal effects, when to use or not use them, and how to use them. For this article, I’m going to keep this short – don’t use reverb on a voice unless their amplified voice in the room sounds dry. A little short room reverb can give their voice just a bit of substance and even smooth their voice if that can’t be accomplished with EQ. You want to make sure the mic doesn’t distort if they talk unusually loud. They normally vary their volume a lot. One is “just in case” and the other is a means to deal with a wide volume range. I’d rather not ride the fader for the full sermon time. I’ve heard pastors who are talking at a normal volume one minute and the next get excited and raise their voice for a few minutes. Perfect time for compression. I like a 2.5:1 ratio. Just enough to keep their volume range from been excessive but allowing the natural and expected volume range to occur. Every EQ change you make impacts more than the frequency area you specify because of harmonic relationships. Let’s say you apply a boost ar 400Hz. You’ll also notice subtle increases at 800Hz, 1200Hz, and so on. Same goes for applying cuts. These harmonic relationships are just part of how sound works. Check out this article for more on harmonics. When it comes to mixing anything, harmonic ramifications need to be recognized. In terms of mixing singers, there good and bad frequency characteristics that can be amplified when you modify other frequency areas. Terms like boxy, edgy, and sibilant and not good words to describe a vocal. But they can be created or emphasized if you don’t listen to the full singer’s frequency range. What I mean is you need to list to the whole voice, not just one area of the voice, when you are making mix changes. For example, you might boost in the 1kHz to cut through the instruments but find that now you have an edgy voice because of what’s going on in the 2kHz region. 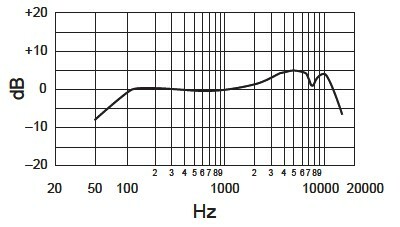 A common mistake is boosting a singer’s frequency area to cut through a particular instrument because the two are competing for the same primary frequency space. Instead, cut a few dB from the instrument. For me, when I find a voice and an instrument conflict, I’ll start with a subtle volume increase. If that works and still sounds good, I’ll keep it. If it sounds bad – too loud of a vocal – then I’ll cut back the frequency point for that instrument. Lastly, regarding lead vocals, know your types of reverb. I’ve seen too many people use the same reverb type and settings for all the vocalists. The major types are hall, room, and plate. And how they are set, as far as the initial delay and the reverb time, depends on the tempo of the song. First the types. A hall reverb has a long decay time than room. The idea is the name represents the size of the space. You’d expect more reverb to occur in a huge hall than in a room. Plate reverb has a larger reverberation upfront with a shorter decay time. 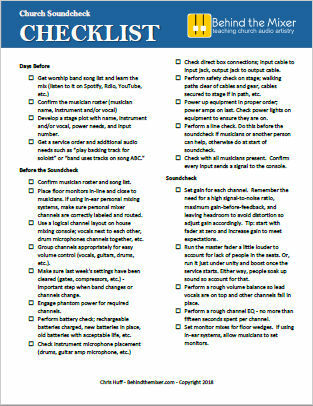 Each could be used in your venue depending on the needs of the song. Experiment with each one and listen to how it sounds. Know your types so you can use them as the distinct tools that they are. Second, the initial delay and the reverb times. These need to match the tempo. A long reverb time on a fast tempo song results in muddy vocals. A short vocal time on a slow song might go unnoticed. Then comes the initial delay. This is tricky. You don’t want to have reverb on a voice at the same time it’s coming out of their mouth. But add milliseconds of initial delay before the sound it reverbed and it will improve how the reverb sounds. For example, for the song Oceans, with a tempo of 132, my initial delay is 57 milliseconds and my reverb is 450 milliseconds. Compare this to a slower song with a tempo of 72, an initial delay of 104 ms, and reverb at 830 milliseconds. The biggest tip is to not think of them as individual singers but as a unified sound. I was once told to “mix them as a single instrument” and that helped my mixing efforts so much. They are present to support the lead singer and fulfill the needs of the arrangement. Think of it as adding fullness to a song. They should be blended together so you hear a unified sound, not three distinct vocalists. If you have three singers, I BETTER NOT HEAR ONE OF THEM STANDING OUT OVER THE OTHERS! It sounds bad, unprofessional, and even if it is your husband, wife, boyfriend, girlfriend, or the pastor’s spouse, that’s no reason to do that. Everyone in the room notices it and it’s distracting. Go for that unified by reducing the areas of uniqueness through a series of cuts per each channel while not taking away from the singers natural voice. To put it another way, focus on how the voices can blend together. Let’s say one has a particularly aggressive frequency characteristic at 4kHz. Apply a narrow cut to that area to pull that back for the blend. 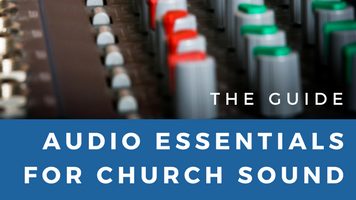 Many factors go into mixing vocals, be it for the pastor or singers. 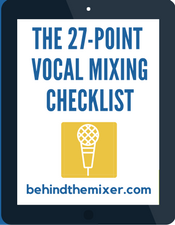 If you want to kick up the quality of your vocal mixes, pick up your copy of my vocal mixing guide. Know what to do on stage and behind the mixer so you’ve got your best vocal mix going out into the room. You’ll also learn all about the different types of reverb and how to use them for the best results. Hi, I searched for an appropriate place to discuss my situation. Hopefully this is OK. I have a presenter (an employee of the company I work for) who is a regular behind the podium. He runs these conferences so he speaks first to welcome everyone, and introduces a lot of speakers, and moderates a lot of Q&A. He has polyps on his vocals chords and has a scratchy/squeaky voice that completely lacks midrange as shown in the RTA. Compression handles his volume issues (pops out some sounds because he has to force) nicely but there is literally nothing to boost to smooth out his voice. What can I do? I have an Antares auto-tune. Do you think that might help? Keep in mind that there are 400 people attending these talks and I’m not trying to make his talk sound like a current pop record. Dave, when he comes through the sound system, is the voice lacking clarity or definition? As long as it’s clear and you only want to smooth it out, you might try some plate reverb – just a tad. See if that helps. I enjoy reading your postings. As I’m sure you’ll agree, when it comes to audio, whether it be recording, live sound reinforcement or whatever, it pretty much boils down to somebody’s opinion of how it ought to be (at that time, on that day, in that room, with sun in that position in the sky). I do take exception to your “the Pastor’s spoken word should never be in monitors”, however. My own first-hand experience in the church where I served (approx. 150 seat sanctuary, pastor “center-stage at a podium, small choir/praise team “stage left and behind”) was that the choir/praise team members, being well behind the mains, were hearing, at best, an unintelligible/muffled representation of the Pastor’s voice. The solution: put the Pastor’s spoken word in the choir/praise team monitors. Thanks again for your postings. Thanks for this! It’s so helpful and interesting. I’m a vocalist and know enough about sound to do a basic mix on my own…but I love learning more about sound!